I love anything to do with Spinach. Last few weeks I have been doing Spinach Gravy or kootu.. 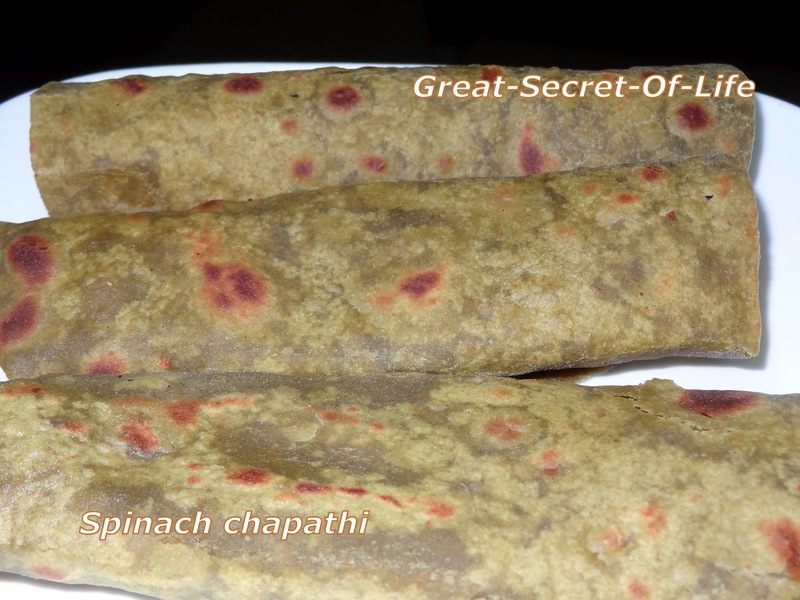 I also try to include as part of our diet Leafy vegetable at least every alternate day. Few days ago I colleague brought spinach Chapathi for lunch. From that day it is in my mind. I managed to do it for our dinner today. Grind the cooked items together with Turmeric powder. 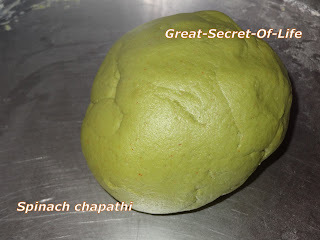 After that take lemon size balls of the dough and roll it into flat and round shaped Chapathi. Apply flour if the dough sticks while rolling. 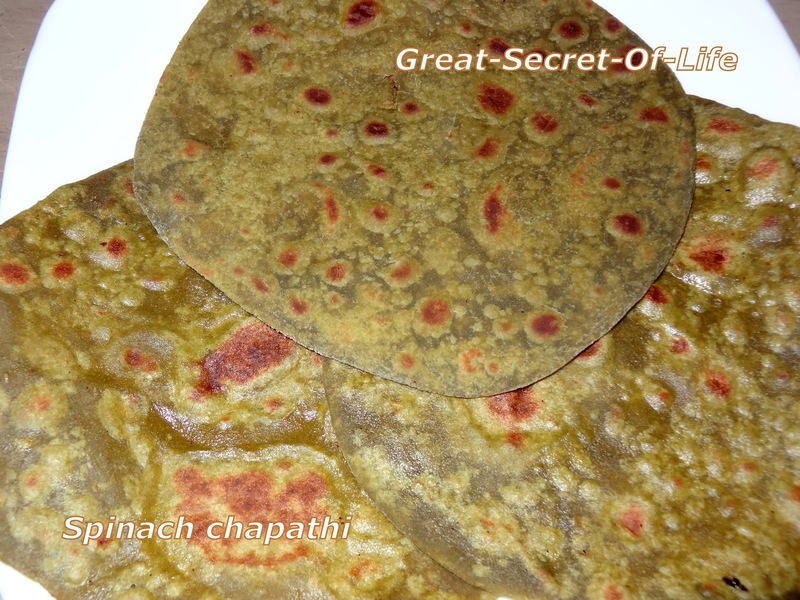 Heat flat tawa and place the Chapathi, turn Chapathi for every 7 to 12 sec. Remove from heat once brown spot appears on both the sides.